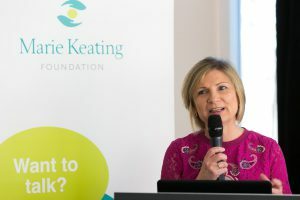 The Marie Keating Foundation’s work focuses on raising awareness of all of the common cancers affecting men and women in Ireland and the healthy lifestyle choices that reduce the risk of cancer. Our services help people to make informed choices in relation to their health that can lower their cancer risk, while increasing awareness of cancer symptoms and screening programmes. You can choose from a number of services to best meet your needs. 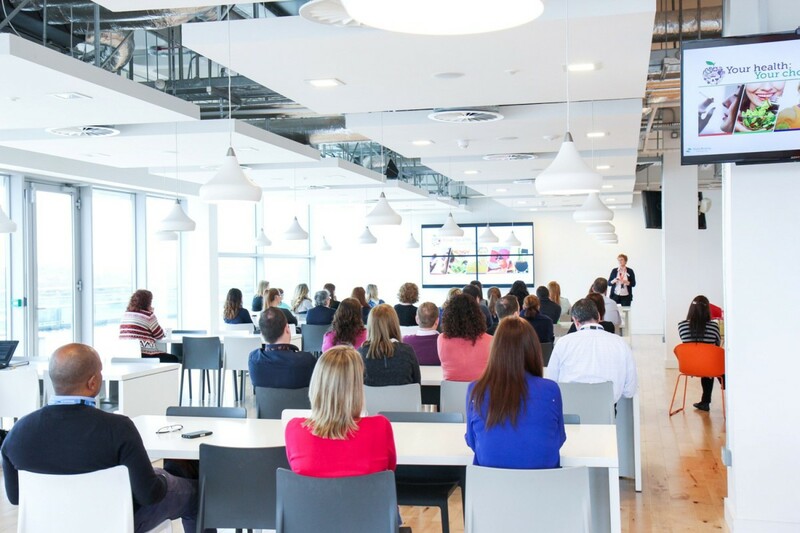 The Marie Keating Foundation’s nursing team visits corporate workplaces to give workshops and presentations on how to spot cancer and on healthy lifestyle choices to reduce your risk of cancer. These can be general presentations or bespoke for the specific audience. Support you to protect your workers’ health in your workplace and to ensure healthier employees, a more engaged workforce and reduced levels of absenteeism. Your Health: Your Choice Workshop for men & women. The aim of this workshop is to increase individuals’ knowledge on how they can reduce their risk of cancer by targeting modifiable lifestyle risk factors. 4 in 10 cancers can be prevented through lifestyle choices alone. There is a direct link between the things we do, what we eat, what we drink and our health. This workshop informs individuals on how they can make simple changes to 5 parts of everyday life that will reduce cancer risk: smoking, overweight & obesity, physical activity, alcohol, and sun/sun beds. We have videos, infographics and brochure materials on a number of these lifestyle behaviors and their links to cancer. The aim of this workshop is to increase men’s knowledge on the most common cancers that affect them (prostate, bowel, lung, skin and testicular cancers). The workshop contains information about the signs and symptoms of these cancer types and how to spot these symptoms in addition to information on how men can reduce their risk of these common cancers. Teaching aids are used in the delivery of this workshop to engage participants and create more open discussion among the group. The aim of this workshop is to increase women’s knowledge on the most common cancers that affect them (breast cancer, cervical cancer, ovarian cancer, skin cancer, bowel cancer, and lung cancer). The workshop contains information about the signs and symptoms of these cancer types and how to spot these symptoms. In addition, information on how women can reduce their risk of these common cancers is also discussed. We also offer 1 hour workshops on specific cancer types e.g. Breast Cancer during Breast Cancer Awareness Month or Skin Cancer during the summer, Lung Cancer during November etc. 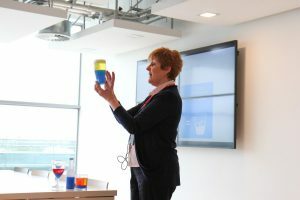 These workshops would feature the key facts about this cancer type, risk factors, signs and symptoms as well as advice on how to reduce your risk of developing this type of cancer. With more than 170,000 cancer survivors in Ireland, more and more people are coming through or living positively with cancer than ever before. Receiving a cancer diagnosis can have a lasting impact and it can be daunting for a survivor to consider returning to work and confusing for employers to understand how to help support that transition. 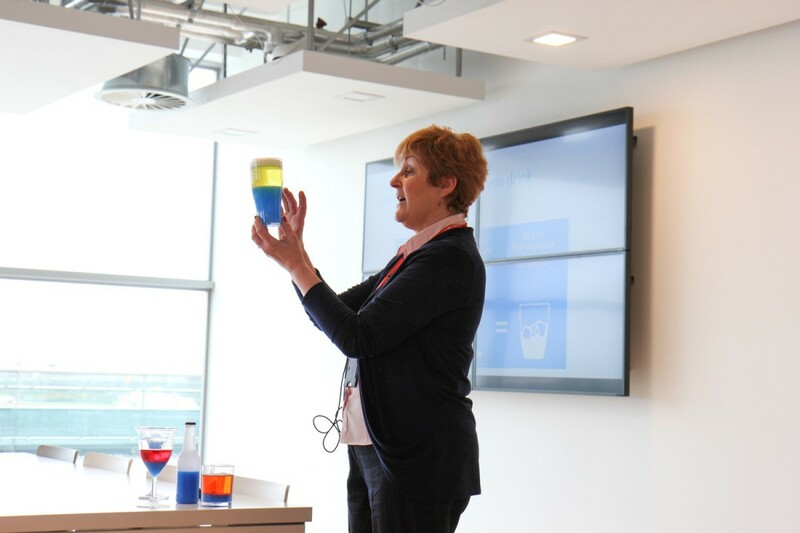 We offer a specific workshop for managers or HR personnel within companies to help them navigate what can be a delicate time for both the returning employee and their colleagues. We have developed a bespoke workshop for this and a booklet which can be downloaded for free here. Marie Keating Foundation can design bespoke wellness workshops that encompass a combination of e.g. talks alongside the health checks offered by our nurses. We understand that every workplace is different so flexibility is important. Choose from the workshop options below to create the package that suits you and your employees. Interested in booking a Marie Keating Foundation nurse and /or Mobile Information Unit to visit your workplace? Please call Angela Egan at 01 6283726 or register your interest here.